This is going to be sponsored by the Charlottesville Area Tree Stewards, a group of volunteers whose mission is to support rural and urban forests by: increasing public awareness of the intrinsic value and beauty of trees, educating the community about trees and tree care, and partnering with local government agencies and civic groups to improve and restore the tree canopy in the area. Find out more about the symposium and the Charlottesville Area Tree Stewards. 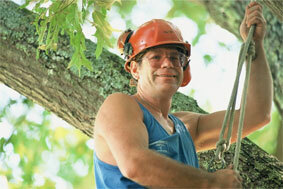 Habitat Services can assist you in the care of your valuable trees. Now is an ideal time to initiate a tree care program.